Ocean waves break on the shore. It’s a regular occurrence, a state of tranquility, nature’s way of passing time. However, any period of time can feel like an eternity. Hunched in the bushes, two priests watch as that act of nature slowly becomes an unthinkable act of torture, a commonality becoming an atrocity as their foundation of faith is questioned. And at its core, this is the purpose of Silence. It questions. It challenges. It wades into the contradictions and the dualities and turns inward on itself. It is a director’s musings, a self reflection on one’s life and career. It is an extension of and an overt expression of the moral quandaries of the director’s previous epics. Crime, transgression, repentance. Ultimately, faith. What place does it hold in the world? Can it hold a place when the forces around us seem designed to smother it? Why do we believe and how do we believe and how do others believe alongside–or in conflict with–us? The film does not provide those answers; it is searching for them itself. It is a journey about hushed prayers in the dead of night, the threat of execution hovering ominously above every anguished confession. It is a journey about suffering creeping into every inch of space around you as you hear nothing but the bugs in the air and the screams of the faithful. It is a journey about gestures that are simultaneously more than symbolic and nothing more than formalities. It is a respectful, nuanced, horrifying, and meditative journey. At one point during this journey, two men crouch down in the mud, the rain striking their faces as they say a tearful goodbye. They are men of different countries but of the same faith, but it does not matter what their beliefs entail. They are neither “correct” nor “incorrect”, and those who are of a different faith are neither of those things as well. They are simply human beings whose faith is being tested, tested to the point where one might ask: “Is it worth it?” Again, the film does not provide an explicit answer. It observes and challenges faith without altering it, and it provides us with enduring images like this. The existence of faith is unquestionable, but where it lives is not. Perhaps silence is its loss, or perhaps silence is where it resides. -Everything I wanted to say but didn’t end up saying: Garfield getting recognized for Hacksaw Ridge instead is irritating. This is a career-defining performance. Issay Ogata is just as good, if not better, as the Inquisitor, and their dynamic in the film is remarkably compelling. Prieto and Scorsese deserve a lot of credit for making this film visually stunning. 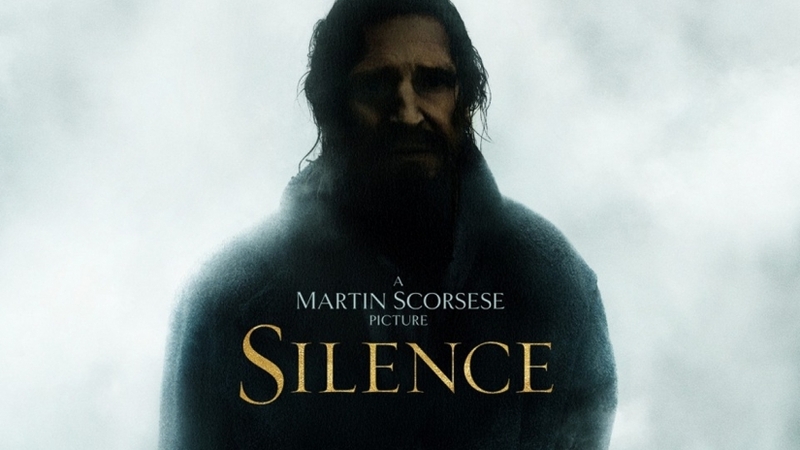 Scorsese’s usual audiovisual flair is very much restrained here, and the film is more powerful as a result. As good as their performances are, Adam Driver and Andrew Garfield are not Portuguese and they are not good at passing themselves off as such. And finally, Green Room is no longer my favorite of 2016. This is not the most entertaining film of the year, but it’s the most thought-provoking and powerful; I think it deserves the top spot because of that. I would see this tomorrow if it was available in Savannah, but it isn’t as yet. I find Scorsese to be enormously talented and despite his love of the gangster genre I think he also loves to put religion out there for every one to question as well. I guess it was to be expected that the 50’s and 60’s music that Marty uses so well, would be over the top anachronistic for this film. Question – does the Japanese Inquisitor speak Japanese (with subtitles) or English? Thank you! And yes, exactly. Religion is a prevalent theme throughout his career. The Inquisitor speaks English to Garfield, and sometimes Japanese with subtitles in general. Great review! I’m looking forward to watching this.